The sound of the ‘Dark Ages’ conjures up a medieval nightmare of violent battles, unruly mobs and heretics, a bleak past that wasn’t necessarily as ominous or in the past as movies like to portray it – after all, there are a number of barbaric and superstitious people still alive today. The term was first used to describe the millennia between 500-1500 AD, a period from which there are few remaining historical records, or at least reliable ones. Consequently, we are often given a picture of the Middle Ages that is romanticized for better or worse, rather than accurate. With the advent of computers and centuries of documents on microfiche it seems unlikely that such an incident will ever happen again, with an ocean of articles and pictures available at our fingertips. 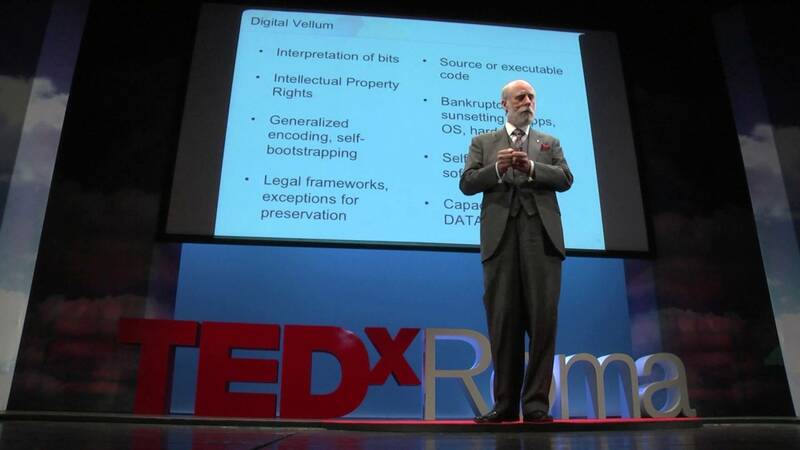 Unfortunately, one of the few people who can proudly rank himself among the founding fathers of the Internet, Vint Cerf, is not so optimistic, proposing a hypothetical nightmare scenario that programmers have talked about for many years: a Digital Dark Age, in which a wealth of written history may be lost, and with it so many things that we are dependent on computers for. The twenty-first century alone has already presented several ways in which our data is in great peril, according to Cerf, and there is the possibility that it may be a century that hardly crosses anyone’s mind in the year 3000. In the near future, companies such as SpaceX are hoping to soon bring internet connections to higher speeds by moving wireless connections off the planet and into space by means of micro-satellites, where the inadequate speed of light is expected to cause inevitable delays in internet service. The ISS has already found evidence of both attainable high speed internet in space as well as resistance. Cerf, one of Google’s vice presidents and one of the first to discover data packets, made waves at a recent convention of the American Association for the Advancement of Science, where he proposed that due to the rapid evolution of file formats, even in the event that our data survives, stored safely in our iCloud or elsewhere, we may accumulate a wealth of documents and files that we are unable to open because they are in formats that will rapidly become obsolete. Software continually updates and new versions may not always readily be able to read older files – a problem already exemplified by differences between WordPerfect and Microsoft Word, and not only applications but the machines themselves. Consider already the death of floppy disks, and the disappearance of CD and DVD drives from computers due to downloadable movies, another medium currently facing a format war. It’s a problem called backwards compatibility, something that upgrades of software do not always guarantee. As 2015 is already shaping up to be a much different place than 2005 was, a time when streaming video was just beginning to catch on, the technological difference from century to century could be vastly significant. Fortunately, Cerf, who openly expressed a healthy skepticism over whether or not Google would still be around in the fourth millennium, is not all doom and gloom in his forecast. Already, he revealed the basics of a plan already demonstrated at Carnegie Mellon University, known as ‘digital vellum.’ Although the marketing concepts have not yet come to fruition, Cerf has left open the possibility that companies in the future may for a fee offer to create X-ray snapshots of all your digital files on a virtual machine that also replicates the operating system in which your data is stored – thus imitating Microsoft Office 97 if you had a Word file kept in that particular operating system. While the logarithms have been established and discussed, the ethical concerns have yet to be addressed, a particularly prominent issue today as politicians continue to propose net neutrality laws and other regulations. When the internet is overwhelmingly protected by laws stemming out of legislation similar to SOPA or PIPA in the future, this too may complicate how we archive and access our data in the years to come. There is also the problem of intellectual property, which may prevent users from copying software and operating systems that are actively in use. There is also the issue of who can access the virtual machine copies, as technology may also end up having to be user specific, preventing the leakage of personal data.